Introducing my new 'Salt Water Weddings' service. Where two of my passions, photography and open water swimming meet and produce some stunning results. Service available anywhere with a coastline, lake, pond, river...nearby. When it comes to wedding photography I employ a 'No Pose' approach. A lot of the work that goes into a wedding is carried out before the wedding day. I figure out exactly where the photos will take place, the positions of the light and have an idea of 'posing'. This is to ensure that you spend minimal time with me and enjoy the day with wedding guests, whilst still creating some stunning wedding photographs. 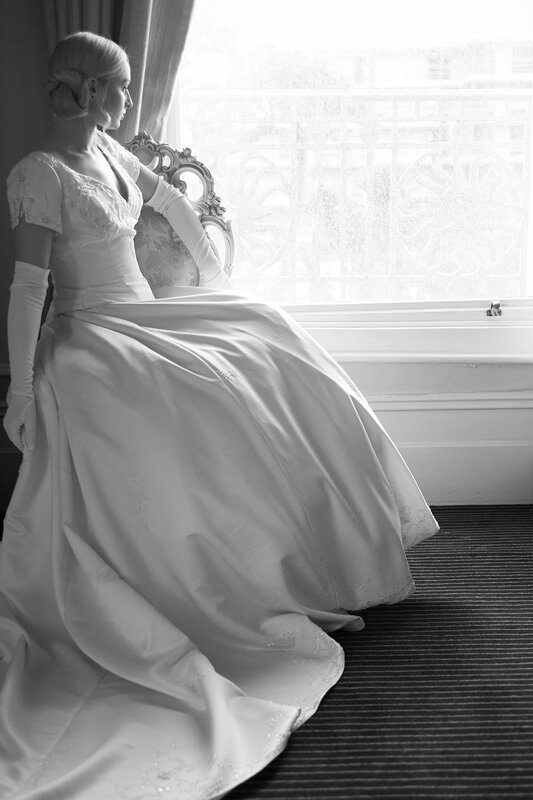 TAILORED WEDDING PACKAGES ARE AVAILABLE, INCLUDING HALF DAY RATES AND HOURLY RATES. CLICK HERE to view my online wedding booklet. For more wedding photos and images from specific weddings and wedding venues visit my PINTEREST account. These photos represent a series of weddings taken all over Cornwall, wedding photos from the South West and wedding photographs from all over the world. I've travelled as far as Australia to shoot weddings. If you'd like to see my wedding portfolio from a specific area or wedding venue please get in touch. Wedding Photography out of Cornwall. Wedding shot in Dorset. Wedding photography taken from a Hayle wedding in Cornwall. Wedding photography shot in Dorset. Wedding photography shot at the stunning Colan Church, in Newquay, Cornwall. Colan Church was in full bloom at the time these wedding photos were taken. Wedding reception at the Glendorgal Hotel. Wedding Photography shot in Dorset at Mapperton House. Wedding ceremony and wedding reception all took place at Mapperton. Wedding photography taken in Hayle, Cornwall. Wedding reception and ceremony all took place in Hayle, Cornwall. I like to give the 'little details' that make a wedding individual a bit of attention. Wedding photos were taken in Newquay, Cornwall. Wedding ceremony at Colan Church, Newquay and wedding reception at the Glendorgal Hotel, Newquay, Cornwall. Pre-wedding photography of the bride. Wedding photography from a Newquay wedding at the Glendorgal Hotel. Wedding shot at the Glendorgal Hotel, in Newquay, Cornwall. Beach side wedding photography. Wedding photography from a Cornwall based wedding. Photo was taken outside of Colan Church, Newquay. Wedding reception at the Glendorgal Hotel, also in Newquay, Cornwall. Wedding photography taken in front of St Michael's Mount, Penzance, Cornwall. Wedding reception and ceremony also in Penzance. Wedding photography from Colan Church, near Newquay, Cornwall. Wedding photo taken directly after a Colan Church wedding, in Newquay. Wedding reception at the Glendorgal Hotel, also in Newquay. Wedding Photography over the Cornish border! Wedding photo of the bride, from a wedding at Mapperton House, Dorset. I spent a wonderful weekend in the area. Wedding photography from a Colan Church wedding, in Newquay. Some beach wedding photography on Porthminster Beach, in St Ives. The bride and her bridesmaids at the Bay Hotel, Newquay. Cornwall beach wedding photography. Wedding photography from Madron Church, Penzance. Wedding took place in Penzance, with a very coastal theme. Country wedding photography in Cornwall. Wedding took place at Trevenna Barns, near Bodmin. Wedding photography near Colan Church, in Newquay. Wedding took place at Colan Church, Newquay. Wedding reception at the Glendorgal Hotel, Newquay. Wedding Photography Driftwood Spas, St Agnes near Newquay. Wedding Photography at Trevenaunce Beach, St Agnes. Wedding photography at Chapel Porth Beach, St Agnes, near Newquay. Wedding photos on the beach. Wedding Photography at St Michael's Church, Newquay. Wedding took place at the Headland Hotel, Fistral Beach, Newquay. Wedding photography from a wet Newquay wedding. Wedding photo taken at the Headland Hotel. Wedding Photography from a Newquay wedding. Wedding ceremony at the California Hotel, Newquay. Wedding photograph overlooking Fistral Beach. Wedding photography taken near St Mawgan Church, near Newquay. Wedding reception at the California Hotel, Newquay. Wedding photography at Trenance Gardens, Newquay. Wedding reception at the California Hotel....not to be confused with the Hotel California! The bride on Porthgwidden Beach, St Ives. Wedding photography and wedding reception at the Porthgwidden Beach Cafe, St Ives, Cornwall. Wedding photography on the way to Porthminster Beach, St Ives. Wedding reception at the St Ives Bay Hotel, Cornwall. Wedding photography from a St Ives Bay Hotel wedding. Wedding photos at the venue and on Porthminster Beach, St Ives, Cornwall. Wedding photography from a Tregenna Castle wedding, in St Ives, Cornwall. First Dance. Wedding photography on Porthminster Beach, St Ives. Wedding reception at the St Ives Bay Hotel, St Ives, Cornwall. Wedding photos from a Tregenna Castle wedding, St Ives, Cornwall. Pre-wedding bride preparation before the wedding ceremony in St Ives. Wedding ceremony at St. Ives Parish Church, followed by a marquee wedding in St Ives. Wedding photos at Carbis Bay beach. Winter wedding photography in Falmouth. When almost the entire wedding takes place in the dark you have to get creative! Marquee wedding in Falmouth. Wedding took place near the beach, in the town of Falmouth. Summer wedding in the town of Falmouth. Coastal wedding in Falmouth. Bride and Groom near the beach. Small wedding in Falmouth. Photos near the beach and in the country. Wedding photography at Pendennis Castle. Wedding & reception at Pendennis. Wedding photography at Pendennis Castle, Falmouth. Wedding photography from a Pendennis Castle wedding ceremony. Wedding reception was also held in Falmouth. I've traveled all over the World for most of my adult life. So traveling out of Cornwall for work is no problem. I offer a complete out of county service and will supply wedding quotes on request for this wedding service. Wedding commissions outside of Cornwall so far have includes a couple of weddings in Australia, wedding photography throughout the South West, London, Greece and the South of France. Wedding photography from a wedding at Mapperton House, Dorset. The bride and groom at a Dorset wedding. Wedding photography taken at Mapperton House. Wedding photography in the south of France. Nice to be precise. On my wedding photography travels. Wedding took place at Mapperton House, in Dorset. Wedding photography from the Dorset area. Out of county wedding photography, in Dorset. Wedding at Bristol Zoo. Wedding photo taken in Clifton Park Gardens. Wedding photography in Dorset. Wedding photos taken on the Mapperton Estate. Wedding Photography from a wedding in Sydney, Australia. Photographer quite happy to travel to foreign locations for weddings. Wedding photo from an out of county wedding, in Dorset. Wedding took place at Mapperton House, Dorset. Wedding took place at the Stockbridge Farm Barn, in the Dorset countryside. Wedding photography on the Mapperton Estate, Dorset. Wedding Photography at Eze Beach, in the South of France. Wedding photography in the Nice area. Wedding photography from a wedding at Bristol Zoo. Lovely venue and a great opportunity for some creative wedding photographs. Wedding photography in West Sussex. Wedding photography in the West Sussex area. Long weekend of wedding photography. Wedding photography at Mosman, looking towards Sydney. Foreign wedding photography adventure. Wedding photography on Eze Beach, in the south of France. A series of wedding photographs taken at the Llawnroc Hotel. A great little hotel in the heart of Gorran Haven, with easy access for wedding photos to the village of Gorran Haven and the beach. Getting ready for the ‘Big Day’. Early morning wedding photo of the bride. Bride and the Father of the Bride, pre-wedding at the Llawnroc Hotel, in Gorran Haven, Cornwall. One of the brides making her way to the wedding ceremony at the Llawnroc Hotel, Cornwall. Wedding union at the Llawnroc Hotel in Gorran Haven. Moments after the ceremony. Wedding took place at the Llawnroc Hotel, in Gorran Haven. Brides a little while after the ceremony at the throwing of the confetti. Wedding guests posing for a photograph, at the Llawnroc Hotel during the evening festivities. Cutting shapes on the dance floor. Evening-Do at a wedding at the Llawnroc Hotel, Gorran Haven. Some of the photographs taken at an editorial bride fashion / photoshoot at the Falmouth Hotel in 2018. Photos taken for Dekko Magazine, a local Cornish publication.